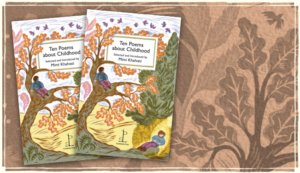 …so is Ten Poems by The Romantics featuring William Wordsworth’s famous poem on the subject and introduced by Catherine Kay, Education Officer at The Wordsworth Trust. 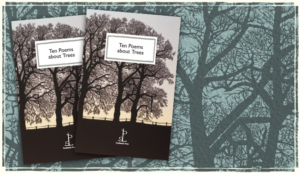 This selection features some poems that we reckon are probably as close to perfect as poetry can ever get (Keats’ ‘Ode on a Grecian Urn’ and Coleridge’s ‘Frost at Midnight’ being cases in point) as well as works that are less well known. 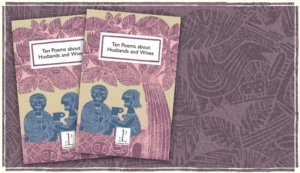 And for those readers who think they have never heard of Felicia Hemans, we have included her poem ‘Casabianca’ (‘The boy stood on the burning deck…’). 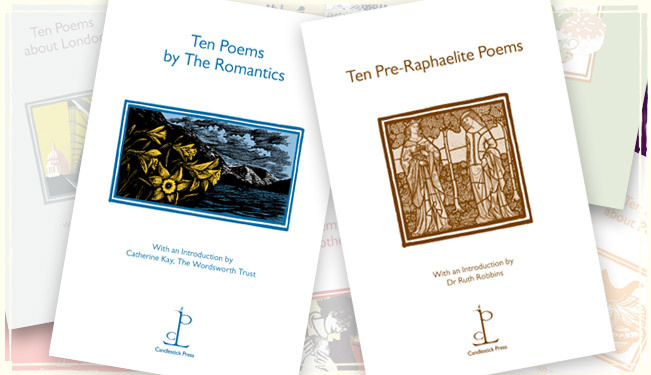 Also on the launch-pad this month (see the Forthcoming Pamphlets section) is Ten Pre-Raphaelite Poems introduced by Dr Ruth Robbins, an expert in nineteenth-century literature. If the Romantic poet Byron was ‘mad, bad and dangerous to know’, quite a few Victorians thought the same of the Pre-Raphaelites, who took mid-nineteenth century Britain by storm with their direct, unflinching and sensuous expressions of emotion and their art forms drawing on the Middle Ages.